Organizational Architecture is excited to be part of something cool that we wanted to share. We’ve made a lot of progress since our first note in July…here is an update. 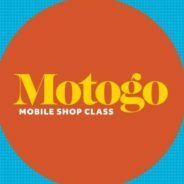 Motogo is a not-for-profit mobile shop class providing hands-on introduction to real world problem solving and critical thinking through the tangible avenue of motorcycle maintenance. Motogo is part of Skidmark Garage which is providing the framework for running Motogo. The concept is to bring these classes directly to schools in Northeast Ohio weekly over the course of the school year. Motogo is already working with students from the Cleveland Municipal School District and Magnificat High School. Furthermore, we have already secured assistance from the Cleveland Leadership Center / Bridgebuilders and Business Volunteers Unlimited to help with strategy, funding, and marketing. We could use help! We are seeking board members to help lead the organization. If this is something you want to learn more about, contact Mark Fiala at markfiala@oahumanresources.com. Thanks!